Run for a Cause, Run a Better Marathon? When I cross the finish line, I’ll be one month short of turning 62. Sure, there are lots of marathoners all over the world who are older than me and can finish in under five hours, even well below four. Me? I hope to bring it on home before 5 hours and 20 minutes, which will be a bit faster than last year’s marathon and much faster than the first. But, whatever my finish time is, I’ll be happy and proud to say I did it. For you, this may not be much of an achievement. But for me, running marathons is nothing short of a miracle. I hated running since I could walk. I dreaded Field Day in elementary school and secretly scorned friends who joined the cross country team in high school. Who are these people? I used to ask myself. They are not my tribe. Fast forward a few decades to my last year as a 40-something woman. I was gaining weight, completing my tour of menopause duty, and experiencing what I now call the “umpies” — frumpy, dumpy, and lumpy. So this is what hitting 50 is all about, I thought? Not happy with the direction things were headed, I did what any sensible woman would do: I pulled myself together, bought a good pair of sneakers, and started running. The weight came off, my body got stronger, and I felt really good about myself. So good, in fact, that at the urging of my two daughters, I signed up to run the NYC Marathon at around age 50. Back of the pack and slow as molasses, I still managed to cross the finish line with a big smile on my face, knowing that I had just accomplished what less than 1 percent of the population ever will. It was a true feel-good moment. This year, as I embark on my marathon training program, not only am I following my plan, but I have added a new component to be even more motivated: to raise awareness of bone health and raise money for the National Osteoporosis Foundation, where I serve as Bone Health Ambassador and a Trustee. Shortly after turning 50, I fell and fractured my arm. Luckily, my doctor recommended I have my first bone density test (DEXA), which showed that I had low bone density. I took action: started running (running is a terrific exercise for keeping bones strong and dense! ), doing push-ups, eating calcium-rich foods, and upped my intake of vitamin D. Everything worked and continues to work. My bones are tough and they will carry me across the finish line on November 4th! The real problem though as many people don’t understand osteoporosis, how it can happen, or how it can be prevented. Our bones start to get thinner and weaker beginning in our late twenties, and this process really speeds up once women go through menopause and lose estrogen. The result? Weak bones that can easily break if we fall. In fact, according to NOF, half of all women will break a bone due to osteoporosis. My mother fell a few months ago, broke her hip, had emergency surgery and has been in and out of the hospital or rehab ever since. Her life will never be the same. I am running the 2018 NYC Marathon in her honor. By adding this component to my overall marathon plan, I will be even more motivated to do really well and cross the finish line with head held high and a big smile on my face, knowing that I have helped to build awareness and raise funds for an important cause. 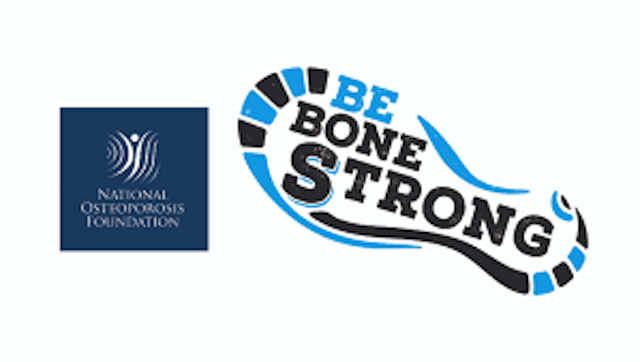 I’m proud to serve as Team Captain of the ‘Be Bone Strong’ 2018 TCS NYC Marathon Team, which consists of women over 40, each of whom has a passion for spreading the message of the importance of bone health throughout our lives. Please support us as we cross the finish line on November 4th. Click here to see our CrowdRise page and consider a tax-deductible donation. Joined a running group: There are running clubs all across the country that will meet the needs of runners of all levels. The NYC Galloway Club became my go-to group for more than just having company on the weekly long training rains. 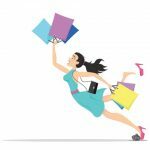 They were — and are — my community, the voice of reason when I doubted myself, the supplier of solid info on socks, bras, and energy gels, and one of the greatest weekly gifts I give myself, better than any therapy session. Wear the right running shoes: While running and jumping are terrific ways to keep bones dense, you also want to make sure you protect your joints. One way is wear running shoes that offer extra cushioning. My choice is HOKA ONE ONE Clifton 5. Tip: don’t buy them online. Go to a reputable running shoe store and get properly fitted by an expert. Ran 30 miles: This was a huge accomplishment for me. I took Jeff Galloway’s advice to heart and always schedule a 30-mile training run 3 – 4 weeks before marathon day. It makes running the 26.2 marathon a walk in the park by comparison. Entered shorter races: To stay competitive and motivated, I enter and run in shorter races throughout the year — 5K, 10K, half marathons, sometimes with my daughters. They are a great complement to the general training I do, and help me forge new friendships with people in the running community. And after all, who doesn’t like getting a medal? Paid closer to attention to the food I ate: When you’re training for a marathon, and especially as you get closer to race day, eating the right foods is critical. Keeping tabs on protein after long training runs, and making sure to eat enough healthy carbs (not to be confused with the outdated idea of ‘carbo-loading’ on pasta the night before) in the days leading up to the big event could help push you over the finish line feeling fabulous instead of fatigued. Cross-trained: I run every other day, even when training, so I don’t wear myself (or my knees!) out. On non-running days I weight-train or exercise on an Elliptical or bike. Sometimes a pleasant fast-paced walk does the trick, but the key is to move my body every single day, which includes doing 20 push-ups, a two-minute plank, and 20 squats. Simple! Made a marathon day plan: I am a lot smarter about planning my strategy for marathon day. Instead of taking off like a rocket (albeit a very slow one) at the start of the race — as I did the other times — I will run very slowly for the first 5 miles, speed up a bit during the next 13, and then give it my all for the remaining 8.2. Slow-to-fast is my mantra this year. And, I’ll do the run/walk/run program throughout. But the most important thing I’ll be doing when I run my 5th NYC Marathon this year — one month before my 62nd birthday — is rejoice in what my body is capable of doing. In a million years I never imagined I would run in a marathon, let alone six. Heck, not that long ago, I couldn’t even imaging running at all. But I do. All it took was a small step in the right direction and the commitment to keep moving for the rest of my life. FOR MORE TIPS ON HOW TO LIVE A BETTER, LONGER, HAPPIER LIFE, CHECK OUT MY NEW BOOK WHICH HAS 100+ SCIENCE-BACKED TIPS TO FEEL AND LOOK AMAZING, WHATEVER YOUR AGE! CLICK HERE TO ORDER NOW! Fashion Flash — ‘Self-Care Monday’ Edition!